2spaintransfers provide fully licensed and insured taxi from malaga to benalmadena at competitive prices. Pre-book your private taxi for €25, all our transfers are private so you do not have to share anyone else. If you are travelling with the whole family and would like a larger vehicle we can offeryou a minibus for up to 16 passengers at the low cost rate of €50, book now and simply pay your driver after each journey. Covering an area of almost 30Km², and with an official 30,000 inhabitants, Benalmadena is just 19 kilometers from Malaga Airport. It’s easy to reach from both Malaga capital and International Airport by road, train or bus and its privileged position looking out onto the Mediterranean Sea, it is little wonder that it has grown so rapidly in size over the last 20 years and become so popular – especially with the British. It is always lively, but the busiest time of year is during the hot summer months, when holidaymakers swell the population by more than triple. 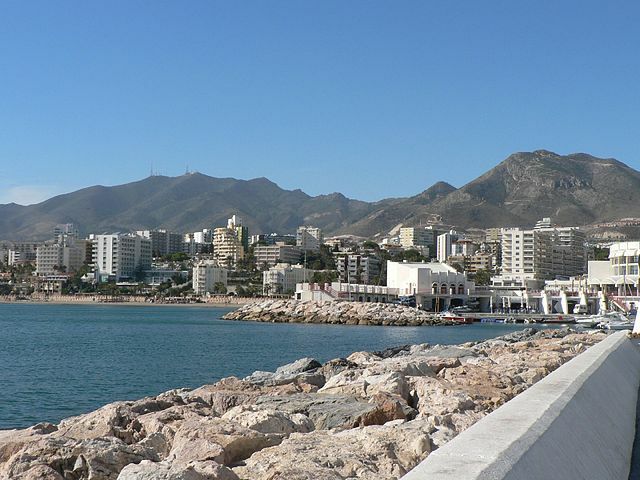 Benalmádena pueblo, Arroyo de la miel & Benalmádena costa. 2 Spain Transfers provide a hassle free taxi from malaga to benalmadena for €25, all our taxis and minibuses are fully licensed and insured and because you are important to us our suppliers are carefully vetted, with all the drivers holding a strong track record on safe driving, punctuality and of course quality service, book now & pay your assigned driver after each journey, why wait in long queues after a tiring flight let us drive you to your destination in comfort.